Most commonly found in Morocco, Ammonites are fossilized snail-like creatures from long ago. They are characterized primarily by their coiled symmetrical, spiraling shells that often display ridges and grooves along the exterior. On the interior of the shell is a perfect spiral pattern that can contain fossilized minerals within it. Through compression and full mineralization, these fossils can form stones known as Ammolites which are Ammonites that have been crystallized. All forms of Ammonite range in color, most typically brown or beige but can also be found in black, grey, and white. It can contain sparkling silver or rainbow hues around and throughout it as well. Ammonite’s name is said to originate from the Egyptian god Amun (also spelled Ammon or Amen) as it represented his spiraling horn and is also derived from the Greek word for “horn”. It was known as one of the most holy stones in ancient Greece as well due to its ability to bring about prophetic dreams. The Blackfoot Tribe of North America referred to Ammonite as “Buffalo Stone” and used it as protection from negative spirits. These fossils were also used for protection during the Middle Ages as they were thought to be dragon heads that would protect from magic when fastened to the left arm. 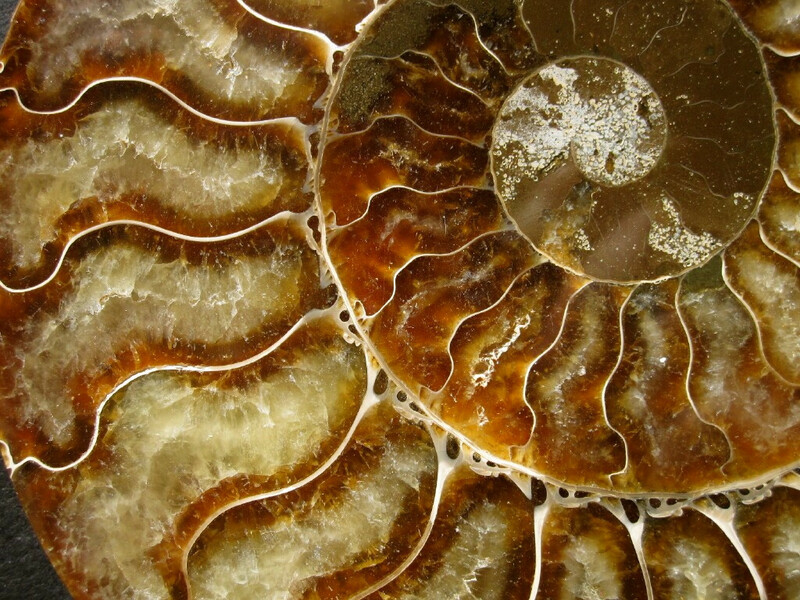 As an ancient fossil, Ammonite holds the ancient knowledge of Earth within it. Gazing into its spirals can take one even beyond the origins of the Earth and into the structure of the Universe itself. Ammonite’s shape resembles the number 9 and carries the vibrations of this number within it. It is a stone of completion that represents all things in creation (and in life) coming full circle. These fossils promote structure and offer great clarity, especially in the realm of one’s life path. They are karmic cleansers that guide one into alignment with their individual life path and provide insight on one’s importance in the big picture of the universe. 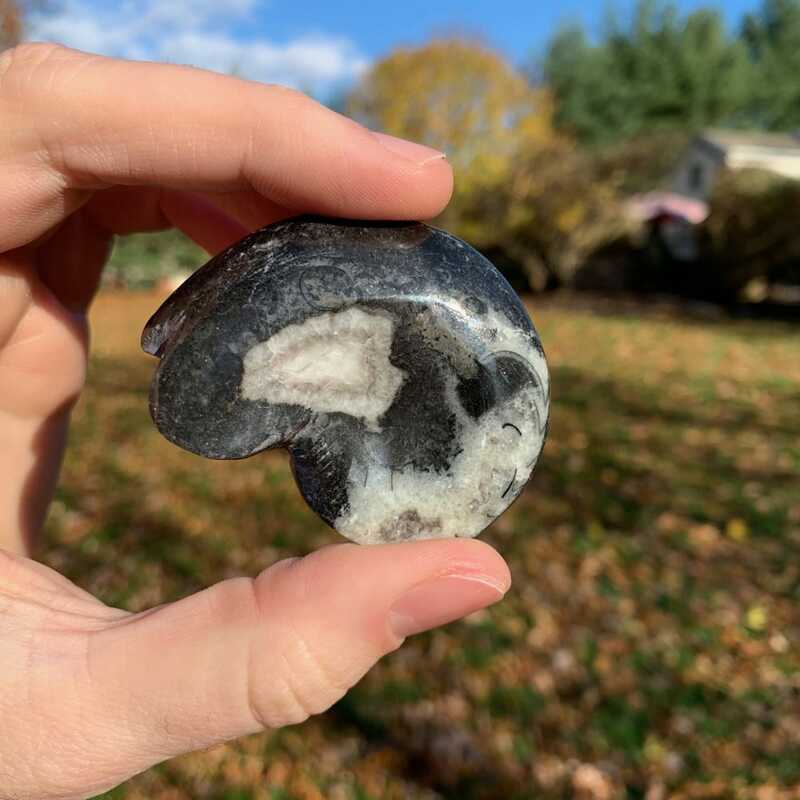 These fossils have a profound protective quality in which they filter out any negative or heavy energy which is not needed, releasing it as pure life force energy. This process can remove energetic blockages for a free and smooth flow of chi throughout the body that spirals around each cell and within each strand of DNA. 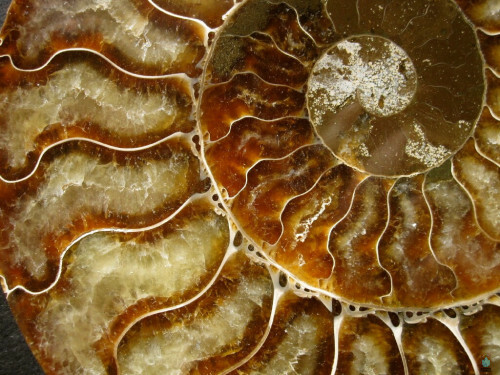 Ammonites are incredible allies for anyone trying to start a new project or journey in life. They grant insight on where to begin and how to maintain the full vision until completion. This along with Ammonite’s connection to structure and design make it extremely useful for architects or anyone involved in building. Not only does it provide structure to the things we do, but also in life overall making it beneficial for anyone who struggles to maintain structure in this life. 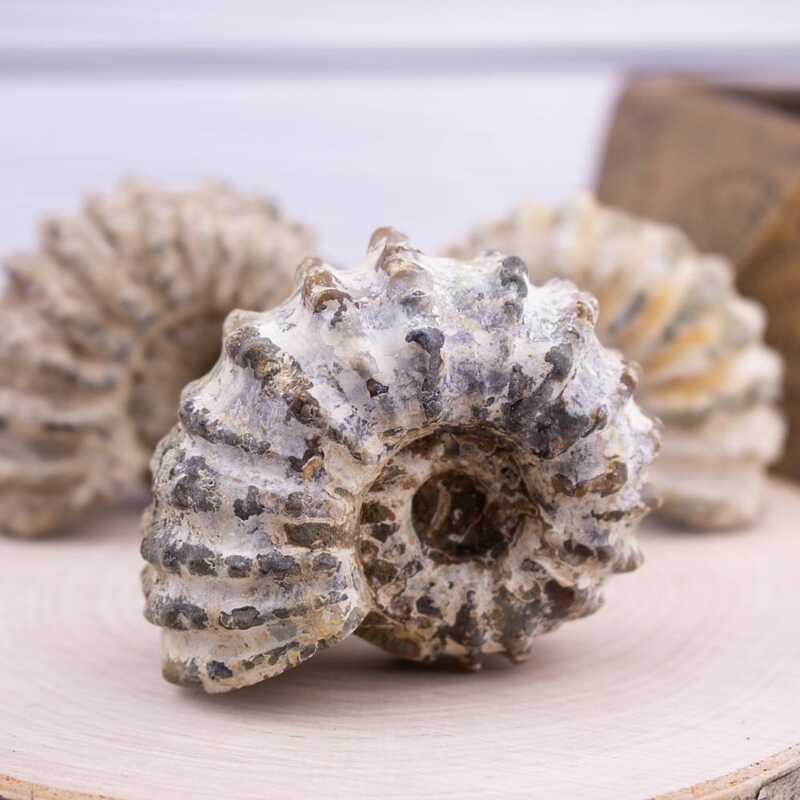 In the many journeys we choose to embark on, Ammonite reminds us why we set out for them in the first place and what visions we are bringing into reality. This fossil stimulates survival instincts, keeps one grounded, and brings about great stability in all situations. It aids in understanding the requirements necessary for worldly survival and in putting them into effect in our lives.